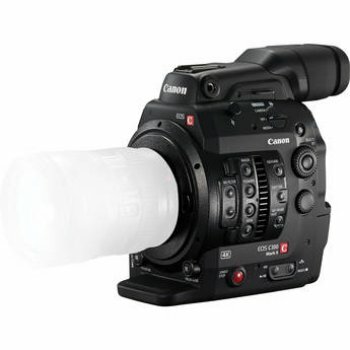 As its name suggests, the EOS C300 PL features a PL mount for compatibility not only with a broad range of compatible cine lenses from manufacturers like Angenieux and Zeiss, but also with Canon′s burgeoning line of EF Cinema lenses for PL mount. 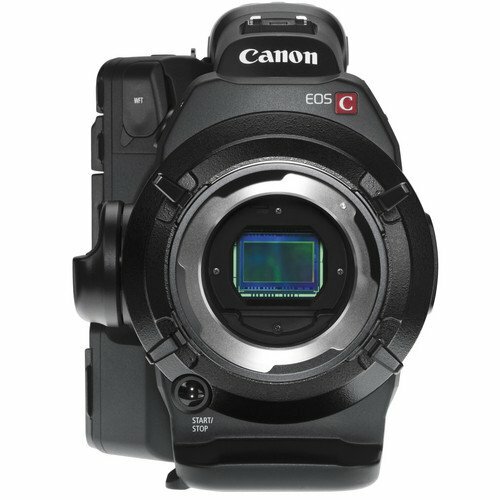 These lenses are designed to match up perfectly with the 3-perf Super 35mm-size CMOS sensor that Canon developed for this camera. 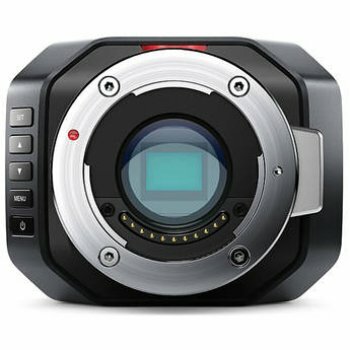 Like the camcorder, these lenses (sold separately) were developed specifically for digital cinema, with engraved markings on angled surfaces in meters and feet and uniform front diameters for easy lens switching without having to reconfigure a matte box or follow focus gearing. 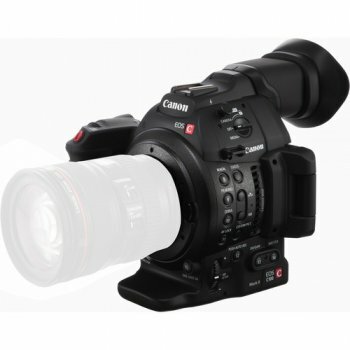 The Canon Super 35mm sensor is paired with the Canon DIGIC III image processor, which uses an innovative method of breaking out red, green, and blue data to enable color performance on a level that would otherwise require three separate chips. 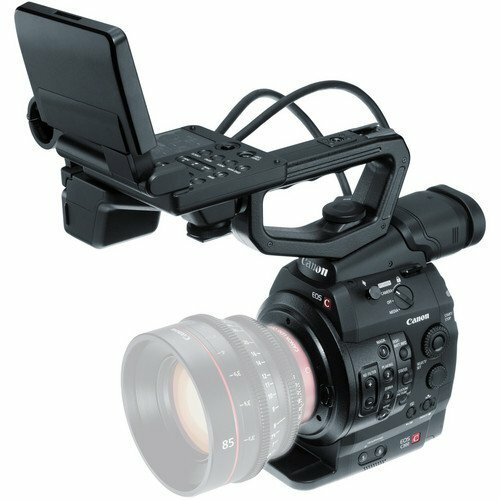 Recording HD formats to CompactFlash cards as Canon′s XF codec – at the highest level a 50 Mb/s, 4:2:2 MPEG-2 format – the C300 PL records motion video that reduces the jagged edges and Moiré patterns that can plague video with 4:2:0 chroma subsampling and lead to post-production challenges. 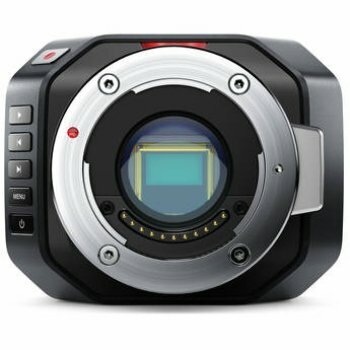 Moreover, the files′ MXF file wrapper brings together video, audio, metadata, and timecode in a package that enjoys robust support from all professional NLE programs. 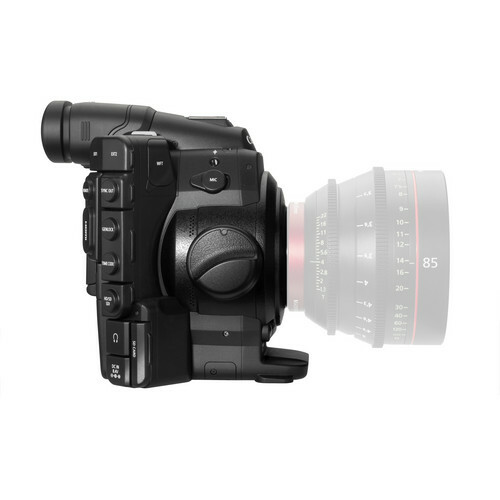 The EOS C300 PL is designed to capture footage that thrives in the post-production suite. 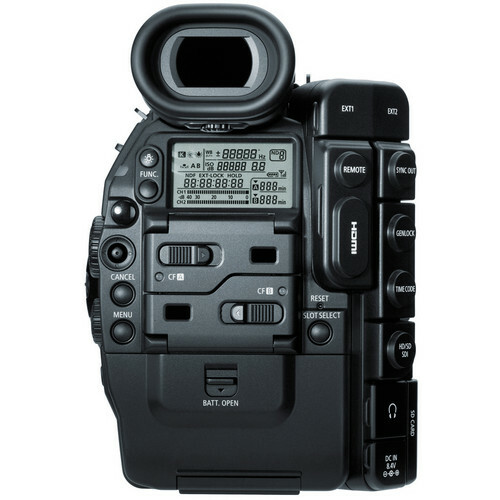 To that same end, the camera also offers Canon′s Log gamma mode, which results in excellent tonal reproduction in the highlight and lowlight regions of an image, and a greatly expanded dynamic range. 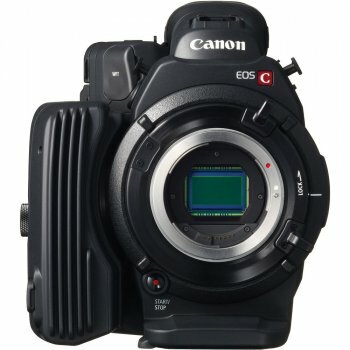 The exterior of the camera is as unique as its innards. 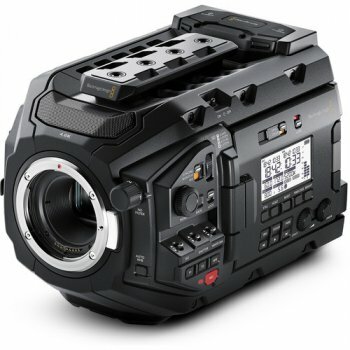 Featuring the expected HD-SDI output, timecode I/O, and genlock input BNCs, the body is a modular creature that can either be stripped down completely, or be built up to host the included handle, 4" rotating LCD unit with full controls, grip, and thumb rest. 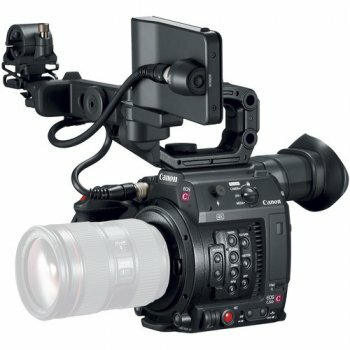 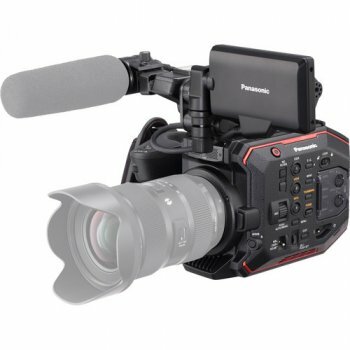 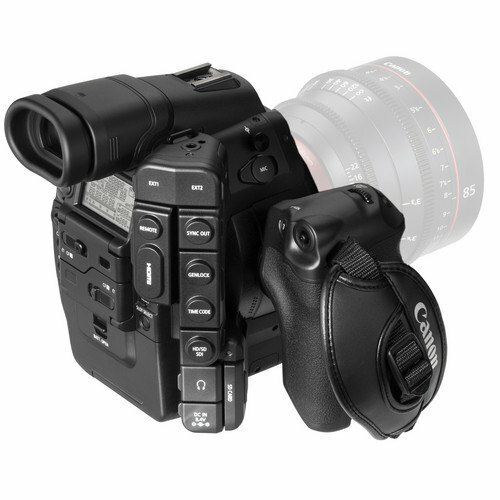 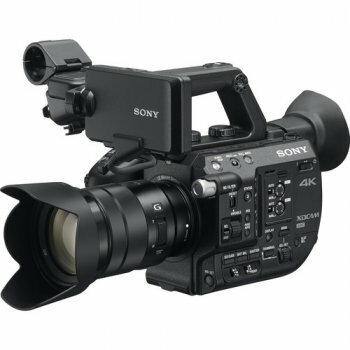 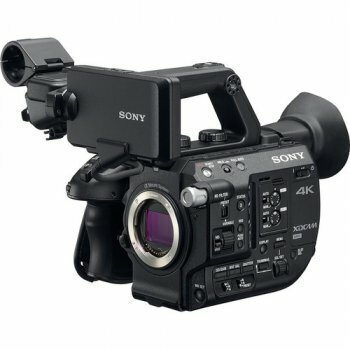 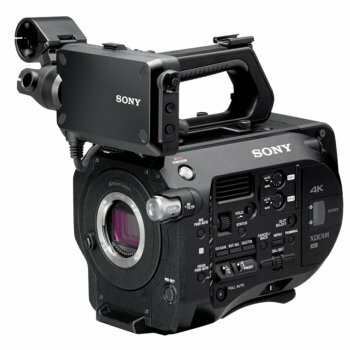 With accessible, assignable buttons laid out in an ergonomic fashion, the C300 PL is physically designed not for still photography but for the craft of digital cinema.